A suspect remained at large Thursday afternoon after a fatal stabbing near downtown, Anchorage police said. The stabbing, near Third Avenue and Karluk Street — in the area of the Bean's Cafe soup kitchen and the adjacent Brother Francis Shelter — was reported to police at about 7:50 a.m., police spokeswoman Renee Oistad said in a statement. "An adult male was stabbed outside on the sidewalk," Oistad wrote. "He was transported to the hospital, where he was declared deceased a short time later." An initial statement said police were seeking a suspect, whom they described as "a black or Hispanic male with curly hair, clean-shaven, (5 feet, 9 inches tall) and approximately 30 years old, wearing a black hoody sweatshirt (and) gray jeans." Some witnesses were detained for questioning, but the suspect was still at large Thursday afternoon with no arrests made, Oistad said. Lisa Sauder, Bean's Cafe executive director, said the stabbing occurred about a block west of the cafe. The victim then headed toward the facility, and staff there rendered "immediate aid," she said. 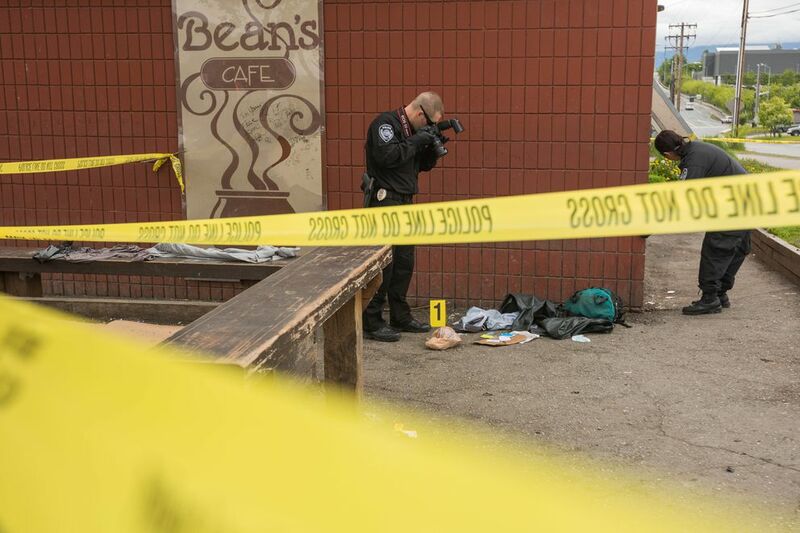 Dozens of people were milling about outside Bean's and the Brother Francis Shelter late Thursday morning as police cordoned off a corridor between the stabbing site and an area outside the entrance to Bean's. Two people outside the cafe, Eddy Renee Rodriguez and Benjamin Samuels, said they had been at Bean's and Brother Francis, respectively, when the stabbing occurred, but didn't see what happened. Rodriguez and Samuels said they've seen altercations outside the facilities, some involving people Samuels said were using the synthetic drug Spice. None of that, they said, has made them feel particularly unsafe. "There's been a lot of fights but that's going to occur no matter where you're at," Rodriguez said. "I've never seen anybody stabbed here before." "It's pretty safe to me. People don't bother me, I don't bother anybody," Samuels said. Though Bean's and Brother Francis Shelter have seen few major crimes this year, Sauder said staff have been dealing with other problems. "It's just been very busy – we've been seeing high volumes of people but we've also been seeing a lot of drug issues," Sauder said. "This is highly unusual for us." The area has seen at least one other particularly violent incident in the last year: On Oct. 21, a man's neck was slashed at Brother Francis. Suspect Stephen John Borozny, 61, was detained; the victim told police that Borozny, who was charged with first-degree assault, attacked him after starting an argument while they stood in a line at the shelter. 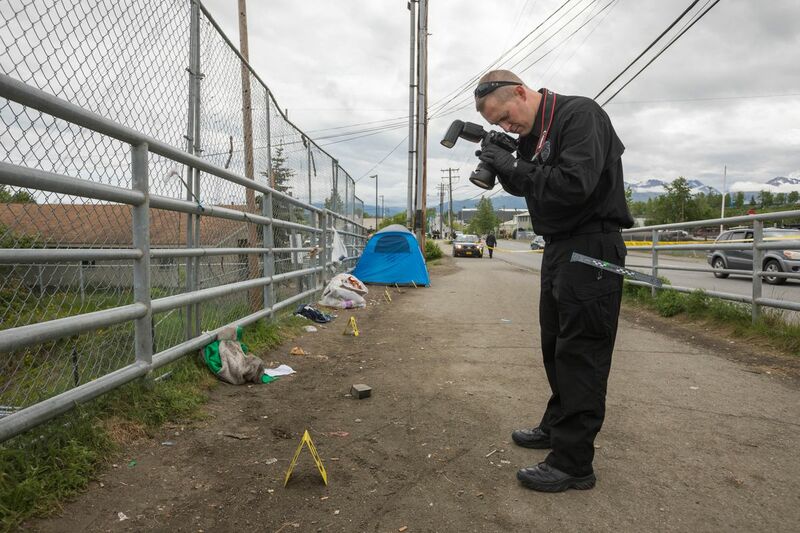 Anyone with information on Thursday's stabbing is asked to call police at 907-786-8900, or contact Anchorage Crime Stoppers at 907-561-STOP or its website.